You’ll gain space and add value to your home with a garage conversion – but where do you start? Use our FAQs to get your project off the ground. If your garage has become a dumping ground for clutter, it’s time to rethink the space. You could simply clear it out or, if you want to add space and value to your home, a garage conversion could be the answer. It’ll give you extra room that’s tailored to your needs and could also increase your property’s value by up to 10 per cent. There are other advantages. You won’t have to sacrifice precious garden space for an extension, and much of the work is done inside the garage, so the disruption is kept to a minimum. As with any construction project, your first step should be to think through the impact – on you and your family, and on neighbours and future buyers. “Before converting your garage, it’s best to consider whether you have additional parking on your property, or a garden big enough for a shed or other storage for future buyers,” says Bryony Sandy of IQ Glass. Then it’s time to focus on practicalities. A garage conversion needn’t be a big job, but it’s one that can trip you up if you don’t get the basics right, such as checking whether you need planning permission. We’ve answered some common questions to help you kick-start your project. This former garage has been transformed into a stylish contemporary kitchen-diner by Twenty5Design featuring a Second Nature kitchen. How much extra space is created? In simple terms, a standard single garage is around 14m2, while a double garage is around 28m2. How you use this extra space depends on your needs and the layout of your home. For example, if your garage adjoins your living room, consider using it as a home office, a home cinema, a playroom or even a guest bedroom with a small en suite bathroom. 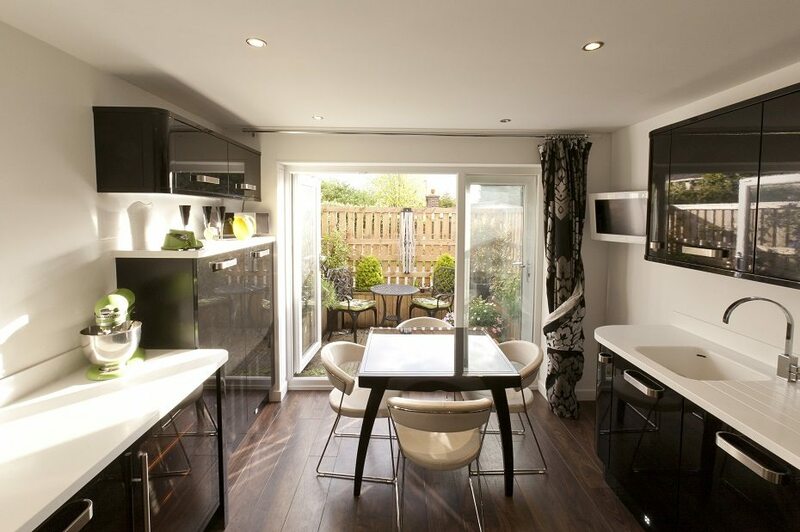 Or, if it’s attached to the kitchen, you could knock through to create a larger, open-plan space. Alternatively, you could dedicate the extra square metres to a utility room with storage and space for laundry appliances. You might even be able to devote half of a large garage to living space and leave the other half for a car. Click here to find out more about creating the perfect utility room. This garage conversion involved insulating the walls and floor internally, painting, putting down flooring and installing windows. A similar conversion by CLPM would cost around £6,000 (plus VAT). In many cases, the work involved in converting a garage will be classed as permitted development. This means that you won’t usually need planning permission, providing the work is internal and doesn’t involve enlarging the building. However, sometimes permitted development rights have been removed when it comes to garage conversions. Always contact your local planning authority before you start, particularly if you live on a new housing development with strict guidelines or in a conservation area. If your home is listed, you may need listed building consent too. 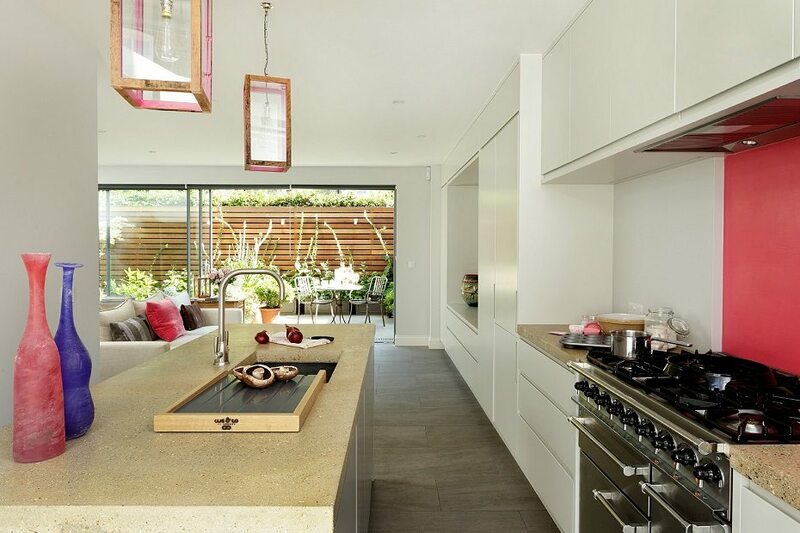 The owners of this London mews house sacrificed a garage to gain a beautiful kitchen by Cue & Co of London. The space was reconfigured by NFA Architects. What approval do I need? You may not need planning permission, but building regulations mean that if you’re converting a garage (or part of one) into habitable space, you’ll normally need approval from your local authority. So, before work begins, you need to decide whether to submit a building notice or make a full-plans building regulation application. Best for smaller projects, a building notice application doesn’t call for pre-approved plans. Building work can get underway quickly and a building inspector will approve the works as they’re carried out. However, there are situations when a building notice can’t be used: visit Planning Portal to find out if this could affect you. If you decide to submit a building notice, you need to be sure that work meets building regulations. If it’s found not to comply when it’s inspected, you’ll need to make amendments, which will add costs. Given these risks, it’s crucial that you use an experienced builder who’s familiar with all the relevant regulations. 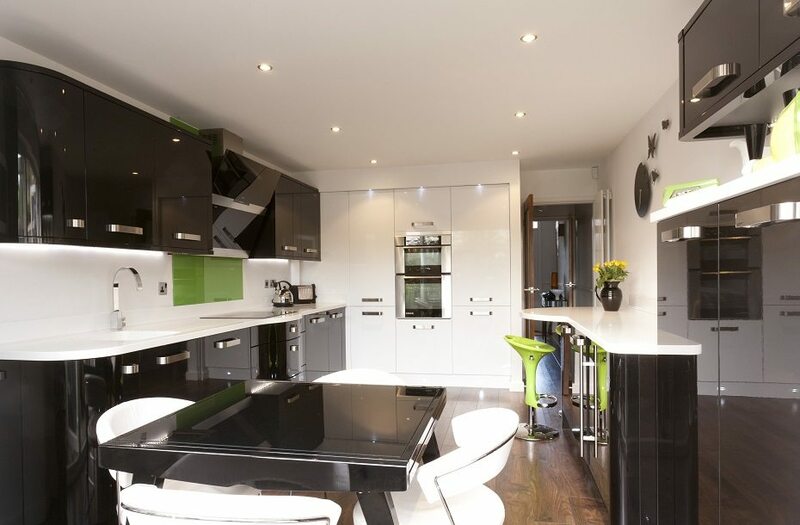 Cue & Co of London transformed a former garage into this sleek kitchen. It flows into a living room where sliding doors create a seamless connection to the back garden. 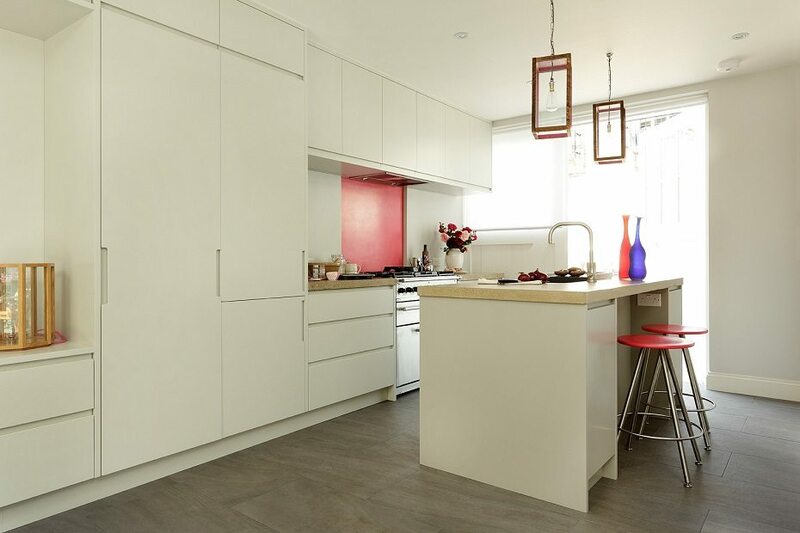 Kitchens by Cue & Co of London start from £35,000. How do I make a full-plans application? A full-plans application is more involved but tends to be less risky. First, you’ll be required to submit a set of plans well in advance of when work is due to start on site. The plans are then checked and approved by the building inspector, assuming that what’s being proposed conforms to building regulations. If the plans aren’t satisfactory, you may be asked to make amendments or provide more details. Alternatively, a conditional approval may be issued. This will either specify modifications that must be made to the plans or request further plans that you’ll need to submit to your local authority. The advantage of a full-plans application is that problems are ironed out before work begins. 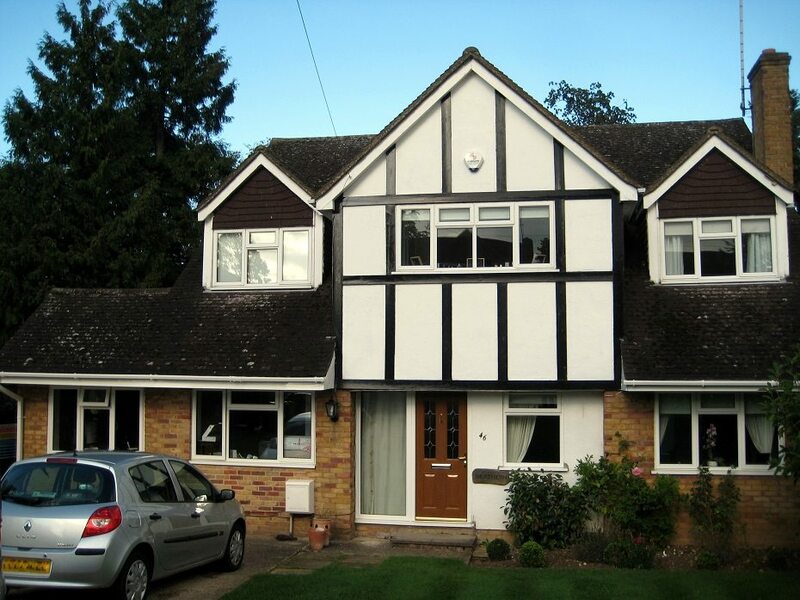 The approved drawings will also show everything the builder will need to know to provide a fixed quotation. Finally, it’s worth bearing in mind that if a disagreement arises with your local authority or private sector-approved inspector, the full-plans procedure allows you to ask for a determination from the Department for Communities and Local Government (in England) or the Welsh Assembly Government (in Wales) about whether your plans do or don’t comply with the building regulations. Remember: you won’t be able to ask for a determination if you’ve taken the building notice route because there are no drawings upon which an appeal can be based. Twenty5Design cleverly maximised the narrow proportions of this former garage by creating a galley kitchen with a breakfast bar. Will my home be inspected? Yes: both the building notice and full-plans approval process involve regular inspections. With the latter, full plans are pre-approved, but the inspector still needs to make sure that the work is being carried out in accordance with the approved design. Inspectors will look at the key areas that need to comply to building regulations, including doors and windows, drainage, electrics, external walls, internal walls and the roof. You can either use a local authority building control service or an approved independent inspector, who will make several visits throughout the conversion. Once the work is completed and it complies with building regulations, you’ll be issued with a completion certificate. Can I convert a detached garage? 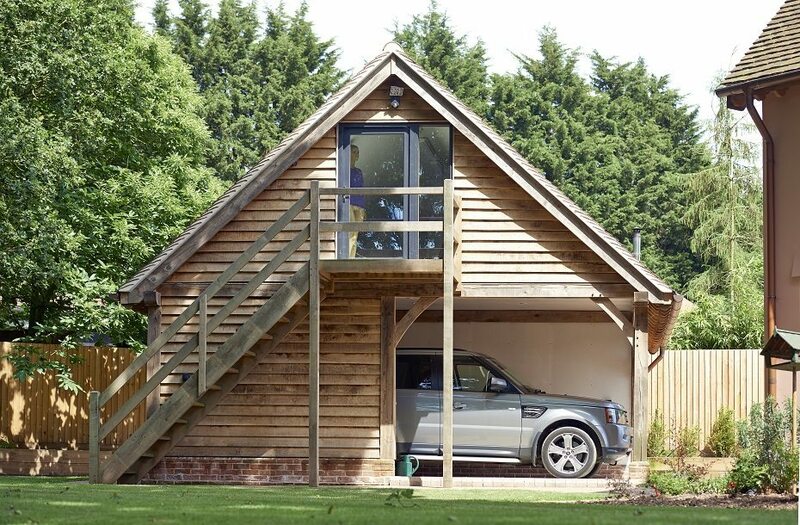 This oak-framed detached garage with a studio above was designed and built by Oakwrights Country Buildings. Who can convert my garage? Plenty of companies now specialise in garage conversions. Alternatively, a good builder can do the job: just check that they’re a member of a trusted trade body such as The Federation of Master Builders and TrustMark . This isn’t a cast-iron guarantee that things will go well, but it’s a good indicator. An architect will be able to bring a creative twist to your garage conversion project. Websites to search include RIBA, The Royal Institute of British Architects and ARB, Architects Registration Board. Start by getting written quotes (not estimates) from three companies, and make sure you get a clear outline of what work is included. A quotation is a fixed-price offer that can’t change once you’ve accepted it and is usually legally binding. In contrast, an estimate is an educated guess at what a job may cost and isn’t legally binding. 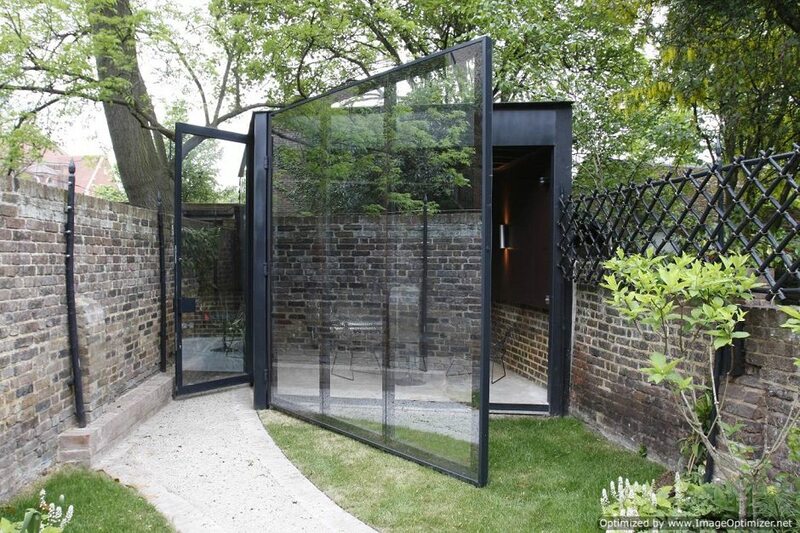 This freestanding garden room and garage is fitted with reflective glass panels to create a mirrored external surface. To the front of the architectural glass box, an oversized hinged door allows the front face to be completely opened. The total cost of this project by IQ Glass was around £65,000.